11. 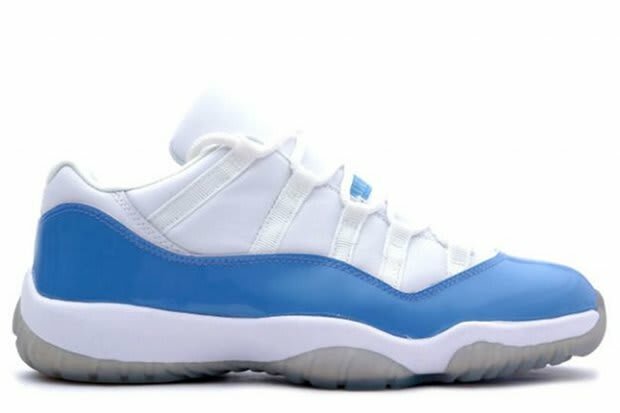 Air Jordan XI Low "Columbia Blue"
You’d think with Jordan’s ties to his Tar Heels we would have seen Carolina blue for the patent, but instead the same Columbia blue that was featured on the otherwise all-white joints that MJ sported during the ’96 All Star Game was brought to this drop. Regardless of the slight difference in colorway, this was definitely a must have in 2001 and a tough and expensive find today.